The last week or so has been hectic to put it mildly. Politically, we’ve witnessed a reality star being sworn in as leader of the free world, with his wife, from a fashion perspective, clad as a Jackie O tribute act in head-to-toe powder blue Ralph Lauren. The following day witnessed a million plus women around the world marching against what had happened the day before, but more importantly marching for their voice to not be muzzled in this new political landscape. And meanwhile back at the fashion ranch we have had the pinnacle of fantasy meets conceptuality meets craftsmanship that is Couture Fashion Week in Paris. My equal interest and passion for all three matters had me thinking more deeply of whether an intense passion for fashion and feminism were mutually exclusive. Furthermore, I wanted to interrogate the modern thesis that posits them at opposite sides of the spectrum: that women who are interested in looking spectacular, aren’t the bedfellows of those who are interested in equality. 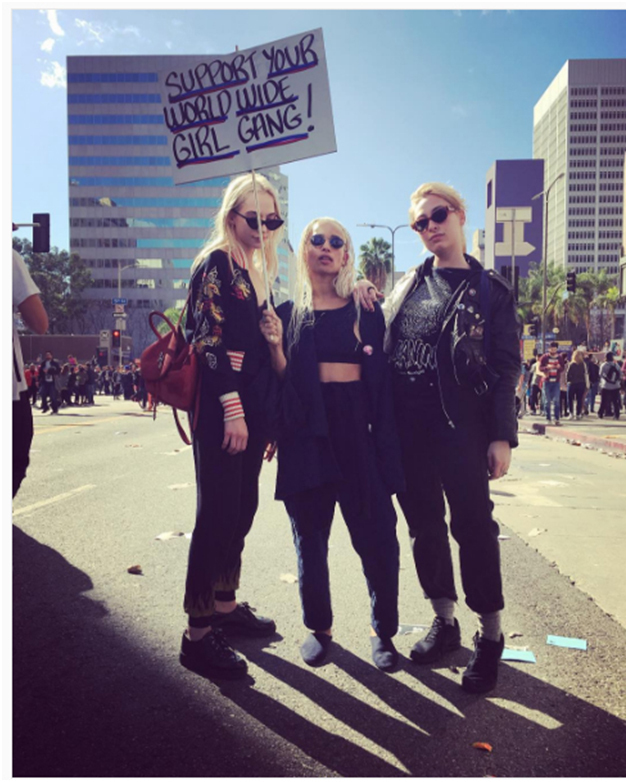 Social Media feeds seemed to differ with a deluge of celebrities such as Zoe Kravitz and Adwoa Aboah marching and being part of the global movement. From a fashion perspective looking at coverage of the Women’s March I was struck by how black seemed to be the chosen palette of the day. Granted, most of the marches occurred in the Northern Hemisphere which is still in the depths of winter, and that black remains, regardless of designers trying to pivot customers to other choices, the number one choice for coats. To my eyes it seemed very sombre. 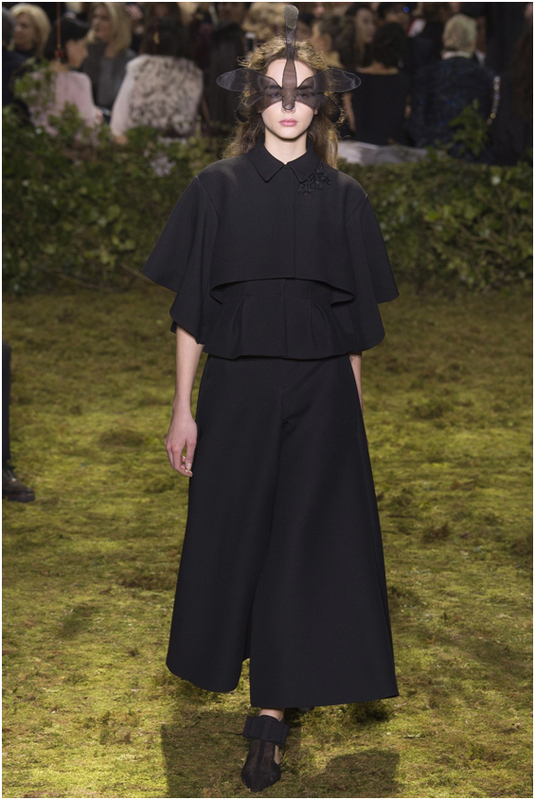 One collection that may have sat well with the chosen aesthetic of the feminists marching was Maria Grazia Chiuri’s debut for Christian Dior, which had a sequence with models marching in a series of exquisite black pieces. For the fashion heritage junkies the seminal New Look motifs were there, but the nipped in jacket had softer sleeves and instead of a skirt, we were offered culottes. The Dior Woman had somewhere to go and pressing concerns to address. 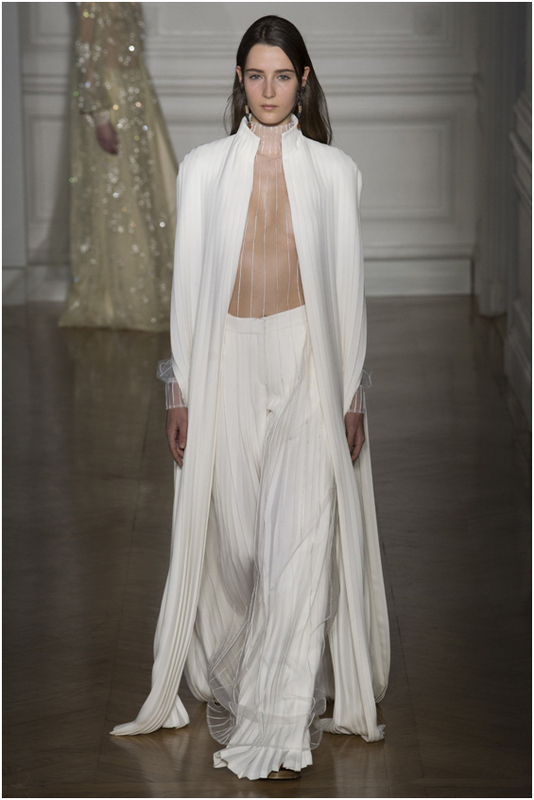 Valentino under the helm of Pierpaolo Piccioli articulated a contemporary feminist as one who might want to embrace the throwback white palette but do so in way that echoes modern mores. These were pieces that were fluid, and did not feel difficult to wear or too far removed from everyday realities, epic dry-cleaning bill aside. You could carry more than the teeny tiniest clutch, in fact you could probably break out into a joyous jig once all the glass ceilings holding women back globally were definitively shattered as the shoes the pieces were teamed with were all flat. Not mentioning Couture Fashion Week and Chanel is akin to talking about women’s right to vote without addressing the importance of all women having full agency of their bodies. 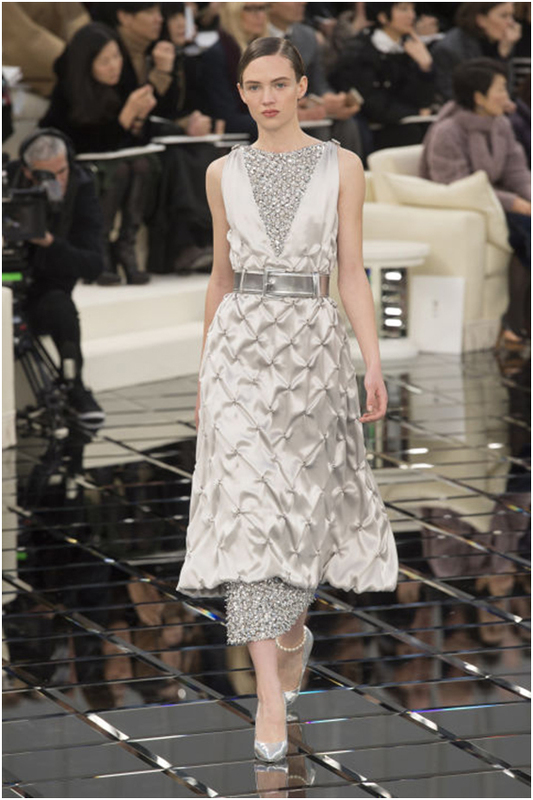 Chanel was founded by the eponymous Coco Chanel, and one could argue she was a feminist in the truest sense as she chose choices that upended centuries old and Patriarchy entrenched notions of what being a woman is. She scandalised society with her various choices, from never marrying to wearing trousers and creating a silhouette that liberated women rather than encase them in corsetry. This season saw Karl Lagerfield return to the heights of his powers. For the contemporary Coco, nipped in high waists were updated with a double skirt. The final effect that was a master class in executing a tricky concept that remained entirely covetable. Fashion and feminism should not be seen as adversaries. A woman clad in couture by virtue of her wealth and privilege is powerful; and we need her power to push the agenda forward. Furthermore, clothes remain potent totems and signposts to who we are and who we wish to be, and are often the first choice we make each day. For feminists who cannot partake in the dream that is wearing bespoke pieces, the trickle down in the looks (watch for those double dress Karl knock-offs coming to a high street or tailor near you), they will eventually manifest as a wardrobe option. 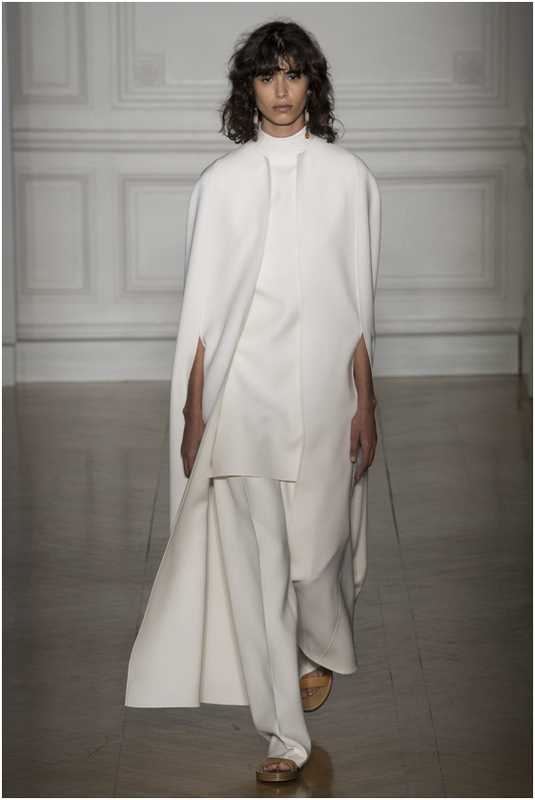 My one bug-bear, as a fashion loving African, is the model selection at the couture shows remains overwhelmingly white, when the global south represents a growing market that is increasingly difficult to ignore. However, I think we would all do well to take a leaf out of the women who campaigned and in some cases died getting us all a right to vote. They fought the good fight looking exquisite.